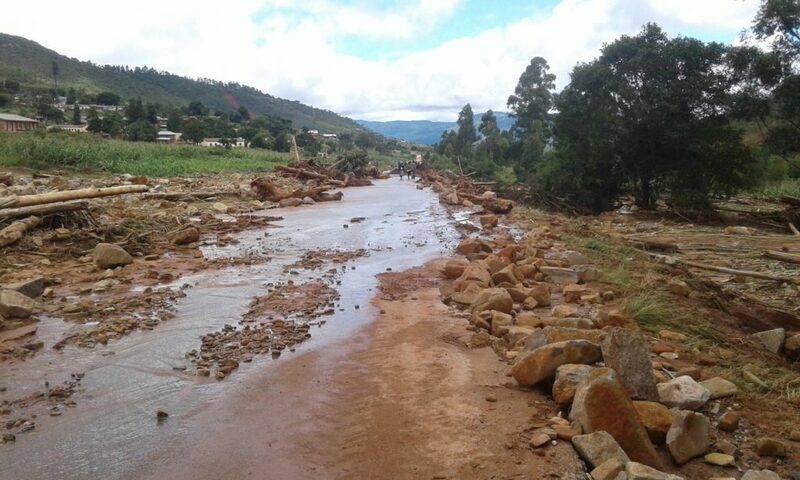 Last week, tropical Cyclone Idai hit Chimanimani district of Zimbabwe, leaving a trail of destruction in its wake. Hundreds are still missing in this area alone, and access to the area is still blocked by impassable roads. The worst of the cyclone hit late last Friday while people were asleep in their beds. And the rain has barely relented since. 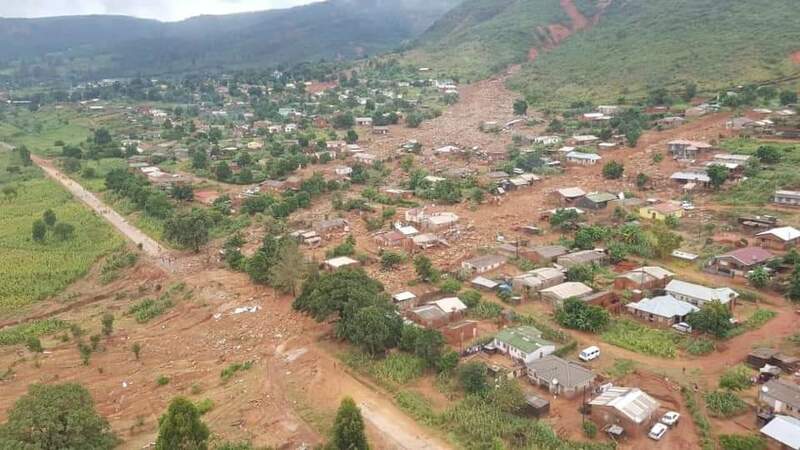 In the areas of Chimanimani district where we work, many of the houses were built on the side of steep hills and have been swept away by rivers or buried in mud and boulders. At least three members of our staff have lost their homes and have sought shelter at the office. Thankfully our staff and partners are safe, however the UN is reporting that hundreds of thousands, if not millions of people, across southern Africa have been affected. Our local partners are working to set up coordination centres in Chimanimani, providing medical assistance and shelter to those affected. They are doing what they can to support the ongoing rescue, however, accessible suppliers are running low and currently no one can come in or out of the area. 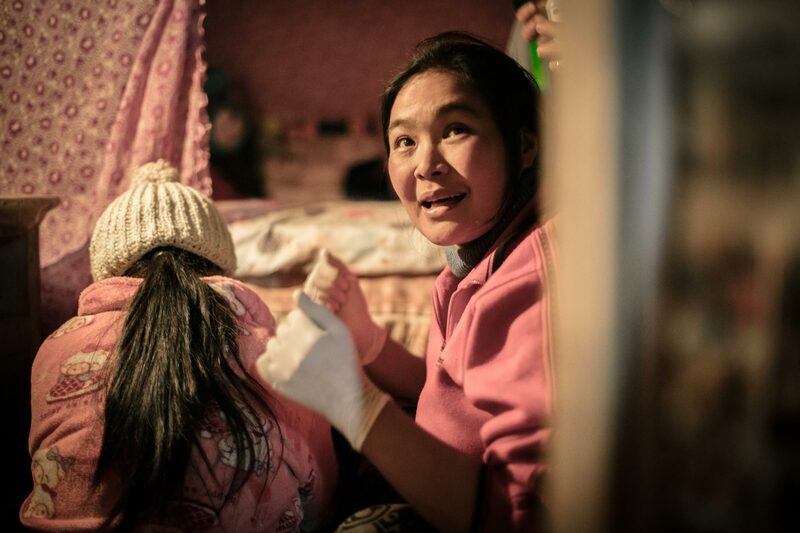 Water treatment, food, blankets, and medicine are in short supply. Our linked charity, Find Your Feet, has been working in this area of Zimbabwe for almost ten years, and there is no doubt that the long term impacts will continue to affect the communities we work with for many months, or even years to come. Schools, churches and government building have been washed away. Electricity, phone lines, water and sewage systems have all been destroyed. A lack of access to clean water or sanitation means that it is only a matter of time until the area becomes a hotbed for waterborne diseases and malaria. Roads and bridges are impassable, slowing rescue efforts and emergency aid.